Great mob match at the Roundshaw Downs parkrun against Tadworth AC and Epsom & Ewell Harriers. 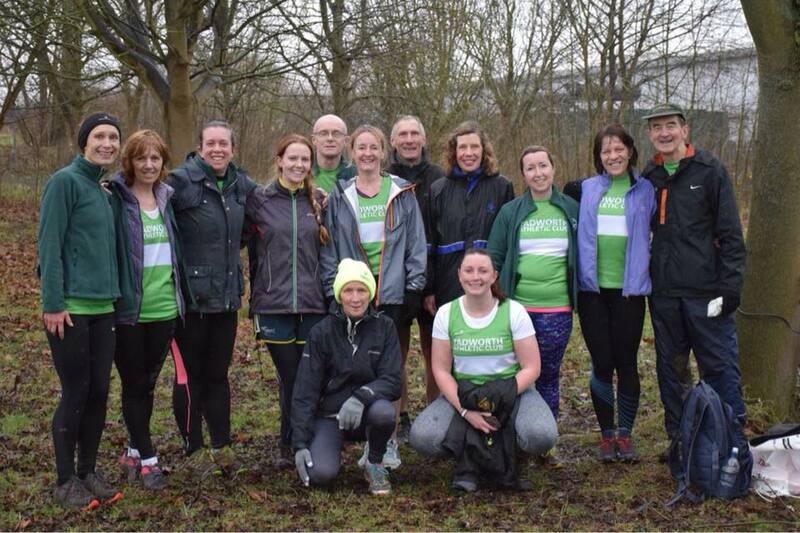 We had a total of 61 runners from all 3 clubs – looking lovely in their club colours! Every runner counted in the scoring system and the results are as follows (drum roll)……. 1st place with 756 points Epsom and Ewell Harriers 2nd place with 604 points were Tadworth AC 3rd place with 531 points were Collingwood AC. There is still everything to play for. The points will be carried over to the next exciting instalment of this 3 way mob match when we run against both clubs on their home turf parkruns – Banstead Woods and Nonsuch parkrun. Round 2 : Saturday 10th March @ Banstead Woods Parkrun. Be great to see as many of you there as possible. Afterwards at The Mint if you can make it. Round 3 : Date TBC @ Nonsuch Parkrun. I will update you as soon as I know details.